It has been a busy year thus far at 202 E. Daniel and the next semester has already begun. Another successful semester for the Sigma Rho chapter of Beta Theta Pi is in the books and we look forward to getting off to a good start this semester. With that said, I present the Sigma Rho Newsletter for the Fall of 2015. During the fall semester, important decisions regarding the future of our chapter house were made. The undergraduates at Illinois met with the Sigma Rho Housing Corporation numerous times throughout the semester before reaching a decision. We came to the conclusion that our best option included the General Fraternity renovating the chapter house. The General Fraternity came forward with plans to pay off the outstanding loans that we owe them and use a sum of money to renovate the house. They plan to begin renovations next year and plan to be done by the fall of 2018. 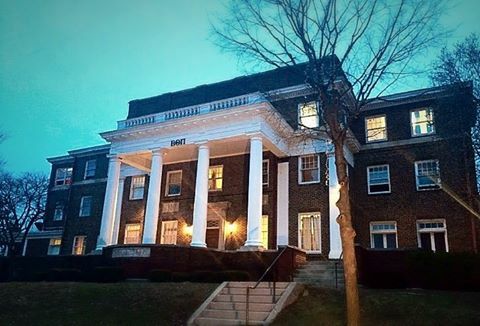 The chapter house will be closed next year, but the brotherhood will remain strong as we are exploring options to live in an apartment together. I am happy to say that the Sigma Rho chapter house will remain standing at 202 E. Daniel St., the same place it has been for over a century. 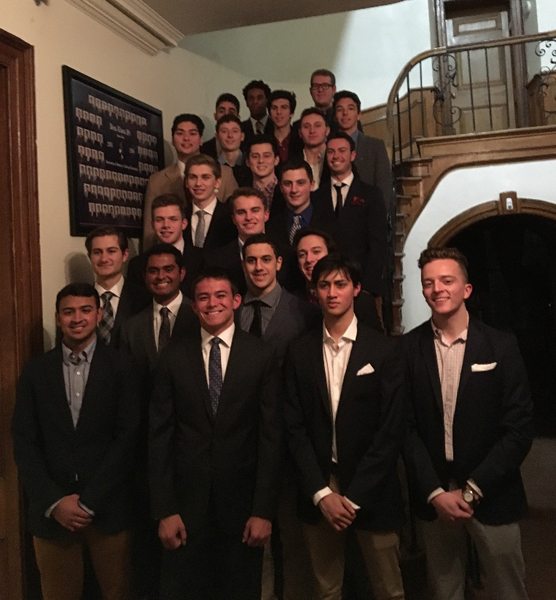 Sigma Rho would like to congratulate the Fall 2020 class on their initiation. We are proud to call them brothers of the finest fraternity at the University of Illinois. 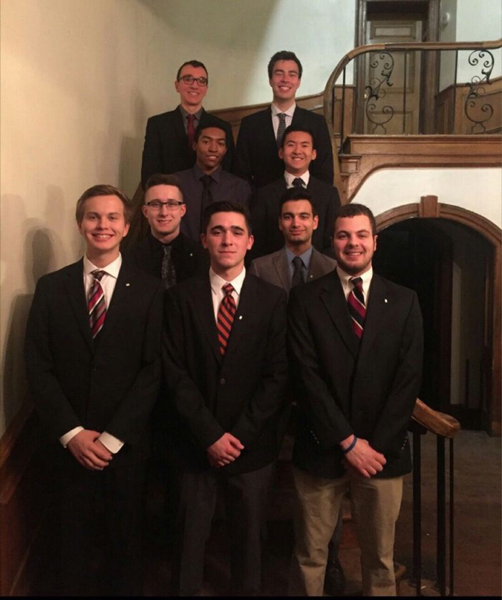 During the past semester, the Sigma Rho chapter achieved its greatest milestone since recolonization. Sigma Rho is once again an officially recognized chapter of Beta Theta Pi. In honor of this monumental achievement, the brothers of Sigma Rho will be hosting a charter installation banquet on April 29 in Champaign. We would like to personally invite you to celebrate with us on the 29th. The chartering banquet will be held at the Eastland Suites Conference Center Ballroom and begin at 6 pm. Dinner and drinks will be provided at the banquet. Feel free to stop by the chapter house at 202 East Daniel before the banquet at noon on the 29th. This is a great opportunity to see the chapter house before it undergoes a year long renovation project next fall. Mark your calendars and remember to RSVP for the event. RSVP can be made to Kyle Tebelman at kyletebelman@gmail.com. This is one of the greatest milestones in the over 100 year history of the chapter and we are excited to see you there. With the conclusion of rush comes our newest rush class - 10 members strong! Furthermore, I would like the highlight the intellectual and professional success of the active members of Beta Theta Pi at Illinois. Sigma Rho finished finished the fall semester with a 3.23 average GPA. The chapter finished 7th out of 44 IFC fraternities at the UIUC and above the all campus average of 3.18. The chapter has shown an impressive GPA growth over the past semester and we look to continue this trend as we aspire to be in the top 5 IFC fraternities next semester. Beta strives to produce leaders and successful young men. Finally, I would like to congratulate and highlight the newly elected executive board for the Sigma Rho Chapter of Beta Theta Pi. They are all well deserving of their new positions and will continue to lead Sigma Rho to be the chapter that we are all proud of! Feel free to contact us at any time and enjoy the holidays!